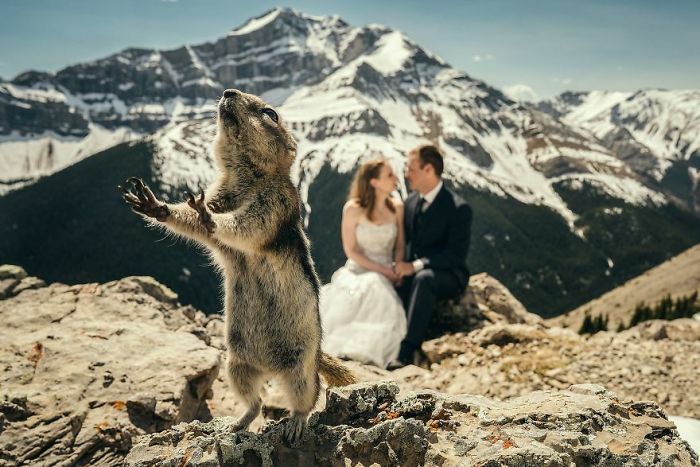 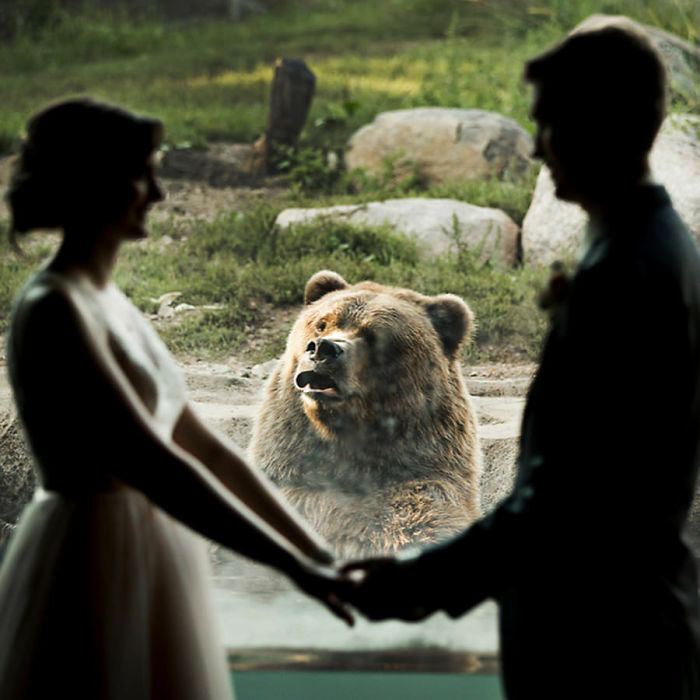 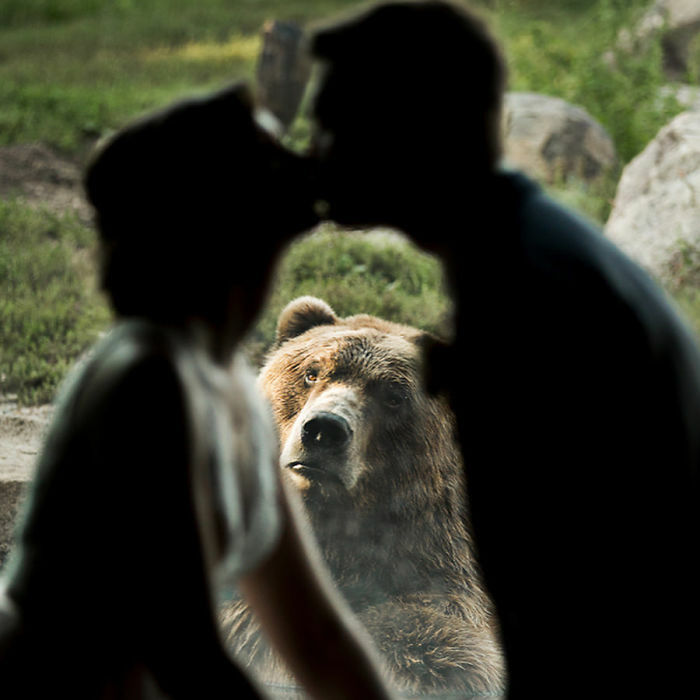 This couple decided to get married at Minnesota Zoo and ended up with some truly spectacular wedding photos, including getting hilariously photobombed by a Russian grizzly bear. 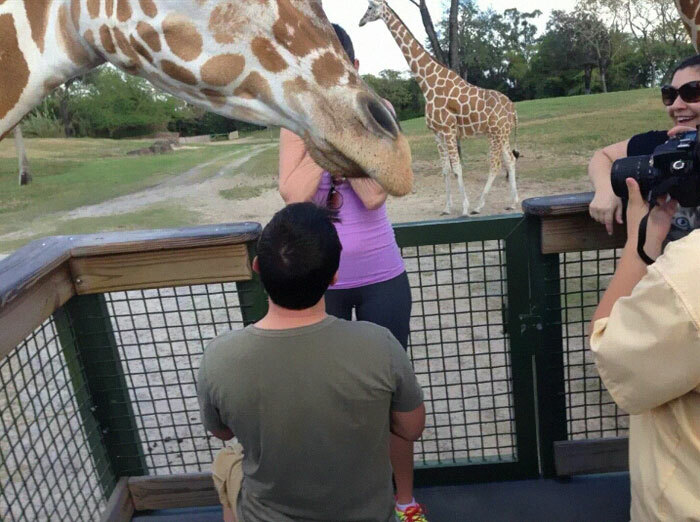 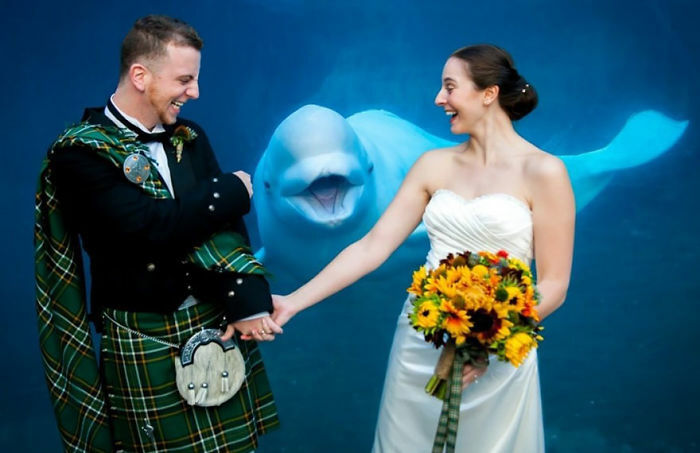 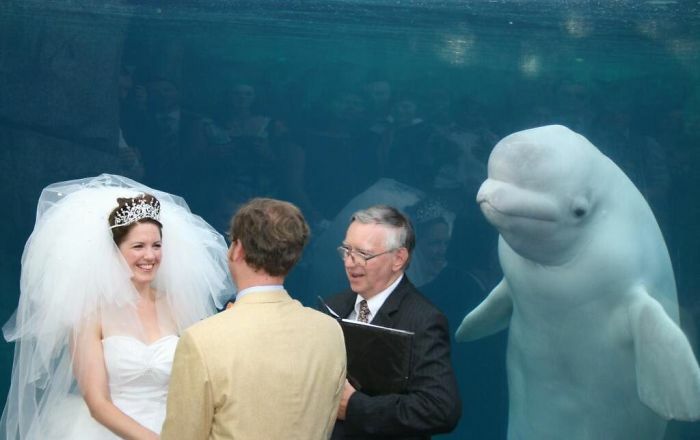 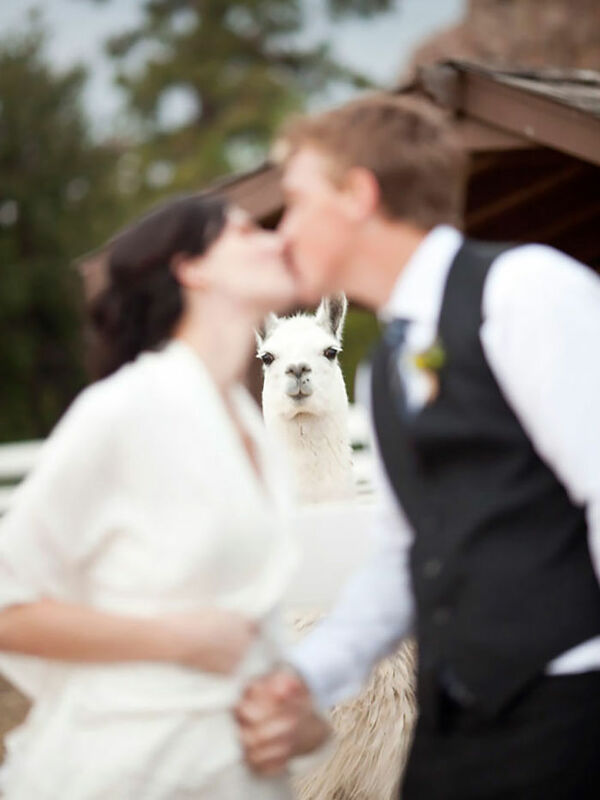 If you are thinking of doing likewise and getting married at a zoo, please choose carefully! 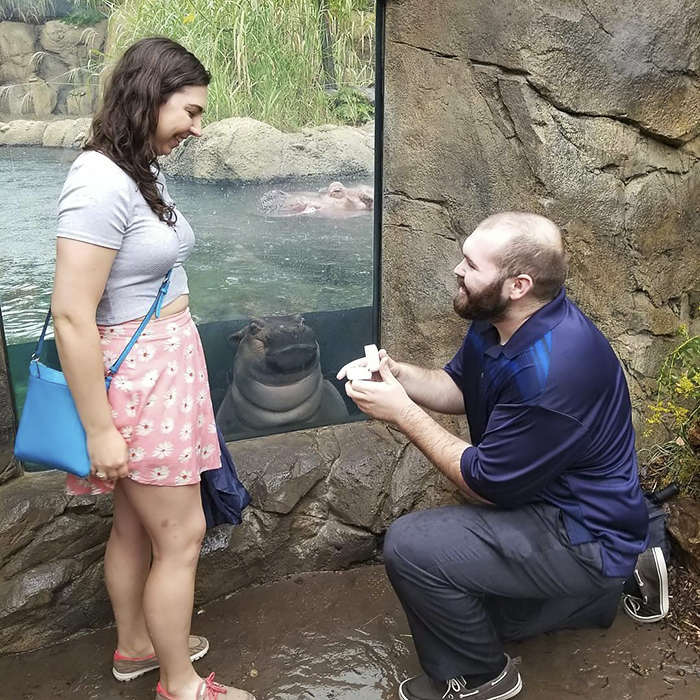 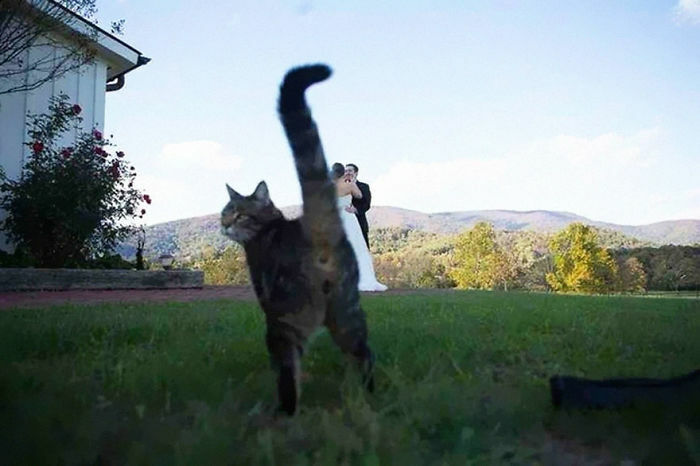 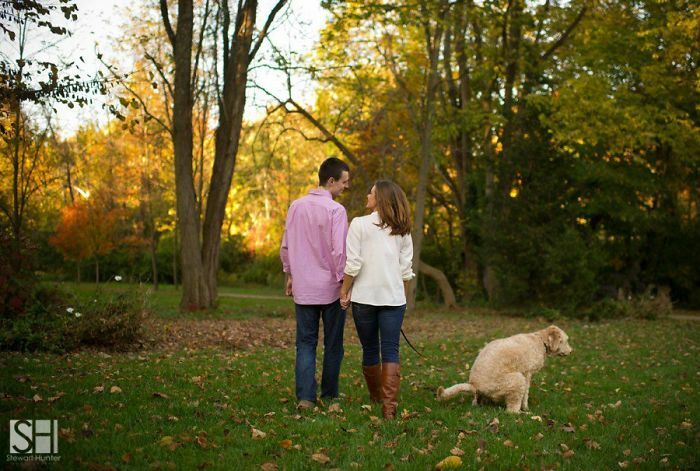 Scroll down below to check out the hilarious pictures for yourself, as well as some other occasions when animals decided to get involved in people’s ‘perfect’ moments.